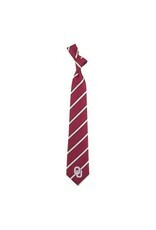 You love to show off your Oklahoma Sooners pride, but sometimes the occasion calls for more than a T-shirt. With this woven poly tie, you won't have to give up your dedication when you attend formal events. 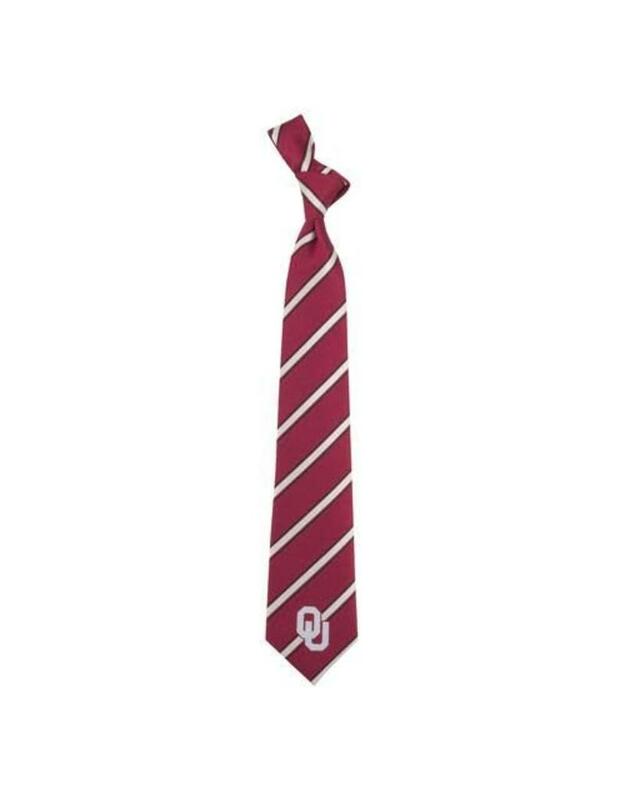 This tie features team-colored stripes along with a team logo, ensuring everyone around knows who you root for no matter the setting. It's guaranteed to take your fanaticism to a level that only the most die-hard Sooner fans can reach.